The Interstellar Cementmixers - "Dislodged Resonance"/ "Monochrome Gravity"
Remember how exciting your first listens to the early electronic space bands like Tangerine Dream, Cluster, Ash Ra Tempel, and Klaus Schulze were? 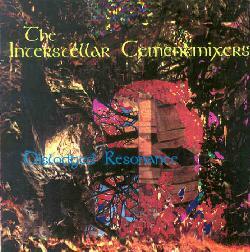 No, The Interstellar Cementmixers aren't a long lost classic from 1972, but a duo project from UK musicians Stephen Martin and Richard Collins. With an arsenal of Moogs, Korgs, Tascams, and other keyboards, effects, and guitars, the Cementmixers serve up heaping portions of all the great sounds that the ambient space Krautrock pioneers created so beautifully. Multiple layers of textured ambient waves and drones weave their mystical way through a cosmic primordial stew that will entrance you into a state of cosmic bliss. "Arachnoid Staircase" and "Timedust" are standout tracks on Dislodged Resonance, with Pink Floyd styled keys, Tangerine Dreamy swirls, and pulsating wind-tunnel drones that make for a tripped out race through the cosmos. Martin and Collins excel at developing space, sound, and atmosphere as the music traverses down its winding cosmic path. "Potassium Bible" and "Silence Shockwave" are darker ambient droning pieces. "Potassium Bible" includes slowly developing ambient space and drones that are embellished by various scattered sounds. The combination makes the music simultaneously dreamy and stark. A surrealistic world that reminds me of a spaced out alien Cabinet of Dr Caligari soundtrack. "Silence Shockwave" is like an industrial factory world under the sea. Eerie aquatic space drones and lots of sound experimentation make for a dark but intriguing journey. And "Vascular Storm" is probably my favorite track, and one that Tangerine Dream and Ash Ra Tempel fans will drool over. Swirling and droning meditative synths create a floating multi-textured atmosphere that is accompanied by continually rising and falling whistling space lines and pulsating organ tones. The ultimate in Kosmiche!!! Monochrome Gravity is stylistically the same as Dislodged Resonance, though it's less varied, having a trademark sound characterized by multiple layers of keyboard waves and drones of varying pitches, colors, and hues. Some are dark and foreboding. Others are heavenly and angelic. Slowly developing Tangerine Dreamy ambient space tracks feature all the bands' fun bleeps and various other freaky sounds to go with it. Lots of dark, slowly developing space atmospherics with a heavy focus on sound development. Drones of every imaginable pulsating pitch, twist and turn while throbbing, squealing electronics pierce our brains. It's often a frightening world we're in traveling in, continually having to fend off attacks from every direction. One need only start with the album's 21 minute title track to experience the full breadth of this duo's sense of space and sound. 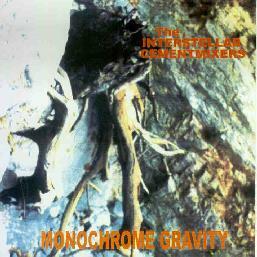 In summary, The Interstellar Cementmixers rank among the best of the current electronic space bands. The keyboard sounds on these albums will bring tears to your eyes. And I know I say this all the time but headphones and complete relaxation are required to fully benefit from the depth of The Interstellar Cementmixers' journeys. Start with Dislodged Resonance. For more information you can visit The Interstellar Cementmixers web site at http://www.interstellar-cementmixers.org.uk. Contact via snail mail c/o Planet X Records; 21 Munford Circus; Cinderhill; Notthingham; NG8 6ED; UK.